In Calgary waiting for flights to California to work for California Beef Council in Visalia, California on Sunday. Just spent 3 great days in Williams Lake, British Columbia with a couple of old farts and a bunch of good young people that really worked hard at improving their stockmanship skills at the Thompson River University sustainable Agriculture coarse. Gord Colliar and Herman Geertsema were the old farts and we had lots of fun terrorizing each other. 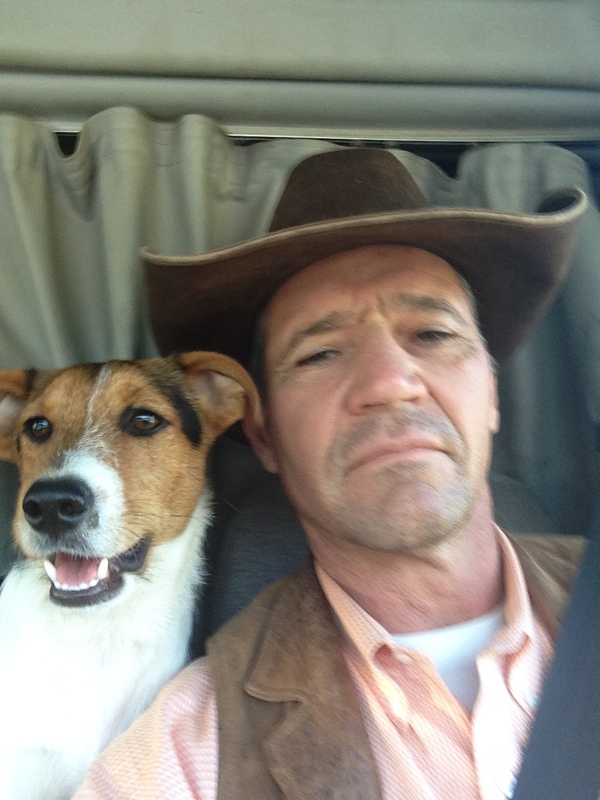 Gord is Zoetis in BC, and Herman is a great vet and a very good stockman. Gord’s partner is an athlete and has him on a real strict diet. I’m not sure “Blizzards” are on it. I’ve done this program for three years now, and each year the students have been very different. This year they were all pretty young and had the same goals and ideas and were a great group. We split them into different teams and we worked ten heifers for three days on horseback and a foot. They really got it and the heifers were great and got better and better the more we worked em. Gillian Watt runs this part of the program and knows just the right kind and the right amount of pressure to use to keep the students hooked and learning. We started the first morning with a introduction talk on Stockmanship. As I was talking about flight and pressure zones I noticed a whole bunch of Geese over in the infield. They were a great way to explain “flight zone”. After the talk we worked the heifers on foot learning about pressure and release and angles. They understood very well. After lunch all but a few got horseback. Herman was riding a horse of Gord’s he had never ridden before and I saw him riding around getting used to him. He ended up herding geese and was moving them real nice. They were responding to him perfectly and you could really see how his position really created a good response. Well that gave me the idea to have the class see how the geese worked. They responded very well to strait lines and driving and drawing an eye. I showed some driving and then the student joined in. They were going right through the gate and the little Half-linger the girl in the video was riding moved his hind quarters over towards the geese about two steps and that was to much pressure and they flew. Everyone saw what penetrating the flight zone was all about. It was real fun to see and do. One night we went out to the Alkaline Lake Ranch to visit. We went to Steve and Laurie Brewers first and had a visit. Steve never did show up. He’s the boss of the outfit and was still out working. I don’t know if he just doesn’t like me and stayed out working not to have to see me, or if he is just a hard worker. It could be both. We had a great visit with his wife and she is nicer anyway! All kidding asides I have always admired Steve’s ability to get things done. We had supper with the young folks I’m real proud of. Mark and Asia Elliot were at Douglas lake when I first went there doing a colt starting deal with Gord and Zoetis several years ago. I new Mark had a lot of Talent as a horseman and stockman, and have watched him get better and better over the years. They remind me of our family when we were working and raising our kids on ranches. It was the greatest time in my life and I really like seeing two young folks and their kids adding to this world. We got a lot done with the students over the three days and feel good that we gave them a good base to build on. Herman added a lot to the clinic sharing ideas and giving the kids confidence. Gord is a real traditionalist and shared ideas on how to work in a crew. He gave a real good power point presentation and discussed proper vaccine and antibiotic use, BQA and Verified Beef protocol and inspiration to be the best at what they do. Listening to Gord’s very exiting power point presentation. We finished up with loading the heifers in the trailer out in the middle of the big pen. It was a very good three days! Pow, pow on to the next one. Visalia on Sunday, then I fly all night to Monterrey, Mexico to work Monday and Tuesday at a conference, then I fly to Cancun for Zoetis and a feedlot symposium for one day, then head up to Stephenville, Texas for the Stockmanship and Stewardship event. The run is not done there but will continue the story later. This entry was posted in Uncategorized on September 28, 2018 by curtpate. Hello Curt, I’m Jimmy Downe. Had the pleasure of working cattle with Dr Ron Gill years ago. Always enjoy and learn from your blogs. I hope you enjoy the attached bull video. I thought of you when I saw it.